Are you frustrated with the direction our Nation is headed these days? Are you irritated with the media or political pundits who classify your deeply held values on homosexuality, abortion, and sexual promiscuity as homophobic, bigotry, or intolerant? How do you feel when you are labeled as biased or a racist when you share a real legitimate concern about Islamic radicalism? Well, if you are like me, it’s enough to make you feel like throwing what my step-mom Exie calls one major hissy fit. 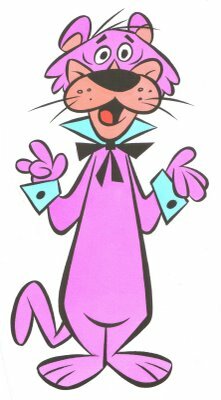 Better yet, why not loudly exclaim like Snagglepuss, “Heavens to Murgatroyed!” Let’s say it or shout it out loud together just for the sake of feel-goodism, “Heavens to Murgatroyed!” Now, didn’t that make you feel so much better? All of this was a little humorous to me until the Holy Spirit worked on my heart. God is in control regardless of our feelings. We should not let our doubts or negative experiences control us. As hard as it was to admit, mainly because I really wanted to throw a hissy fit, God has placed you and I right where He wants for His purpose. We are where we are for a reason not happen-chance. Think for a moment- all those who have ever been martyred for Christ have shouted out “Heavens to Murgatroyed” or you can bet something similar. But in the end they remained true to their convictions. Because of the times in which we live and the total mess around us we may be ready to scream or shout or sadly give in. I had to re-examine my attitude about all this because the truth nailed me between the eyes. How? God is greater than my petty complaints. God is using these events and experiences of our day to get our attention and cause us to hold on even tighter to His Word and eternal life. Right now God is expecting all of His believers to remain faithful, to stand firm, and be a light to the world. This isn’t easy but we know instinctively that it never has been. But, here is what we know for certain, “Who shall bring a charge against God’s elect? It is God who justifies. Who is he who condemns? It is Christ who died, and furthermore is also risen, who is even at the right hand of God, who also makes intercession for us. Who shall separate us from the love of Christ? Shall tribulation, or distress, or persecution, or famine, or nakedness, or peril, or sword? As it is written: “For Your sake we are killed all day long; We are accounted as sheep for the slaughter.” Yet in all these things we are more than conquerors through Him who loved us.” (Romans 8:33-37) What more motivation do we need? One day we’ll all exit, stage left, right into Heaven, even! Wow, Heavens to Murgatroyed!